My favorite way to celebrate is to eat. My marvelous husband took me to our favorite restaurant, Humble Pie. I could go on for hours about how much I love this place! I was enjoying myself so much that I never took a single picture. After this heavenly meal, we had one more stop before heading home. A new restaurant called PieBird. They specialize in all things pie. 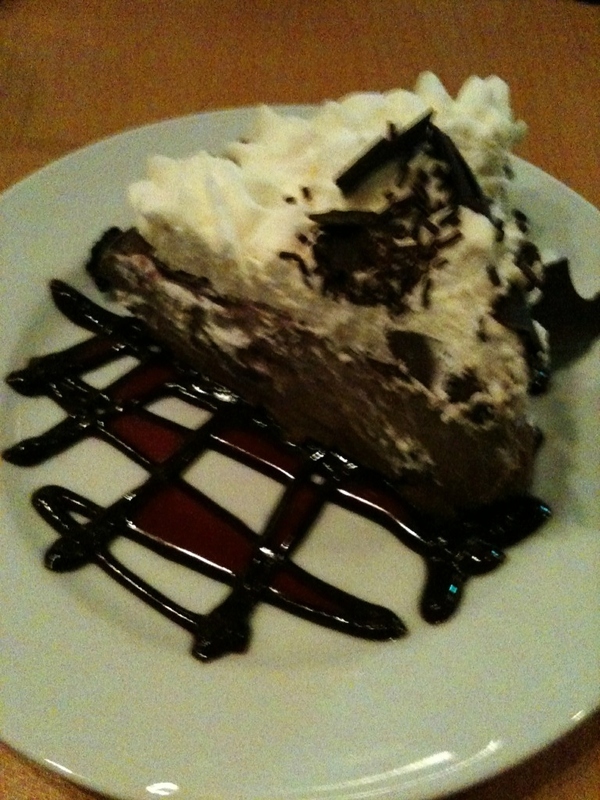 Our mission…yummy pie (the dessert kind). We were not disappointed! I did take photos (please excuse the camera phone photos). These slices of pie were so beautiful that I didn’t even want to eat them! But somehow I managed to do so. 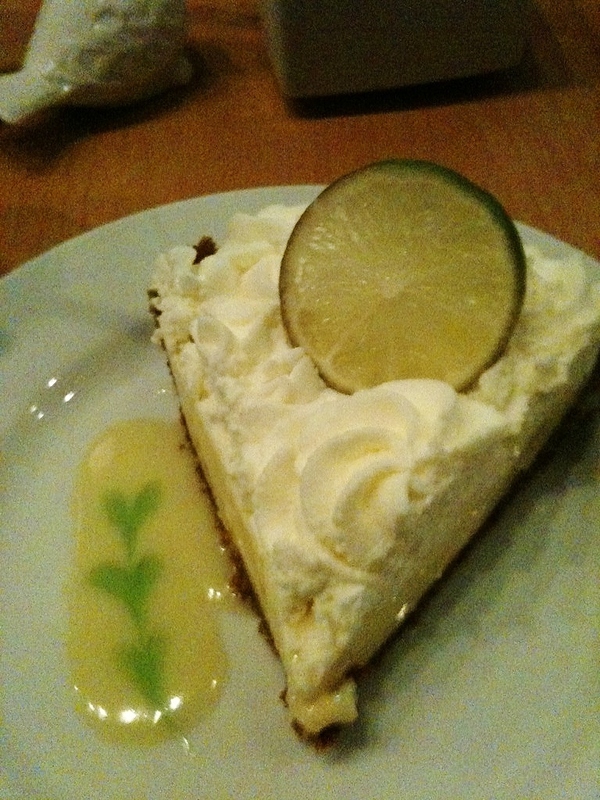 We ordered Key Lime Pie and the Chocolate Crème Pie to eat while we were there. And because we could not make a decision (soooo many yummy pies!) we brought home the Honey Salt Pie and the Smores pie. Devine! Ok so I think it’s obvious that I loooooove desserts! I have been craving chocolate cake for weeks! I got a chocolate cupcake when we were out one day but it was too sugary and just not the right flavor I was looking for. 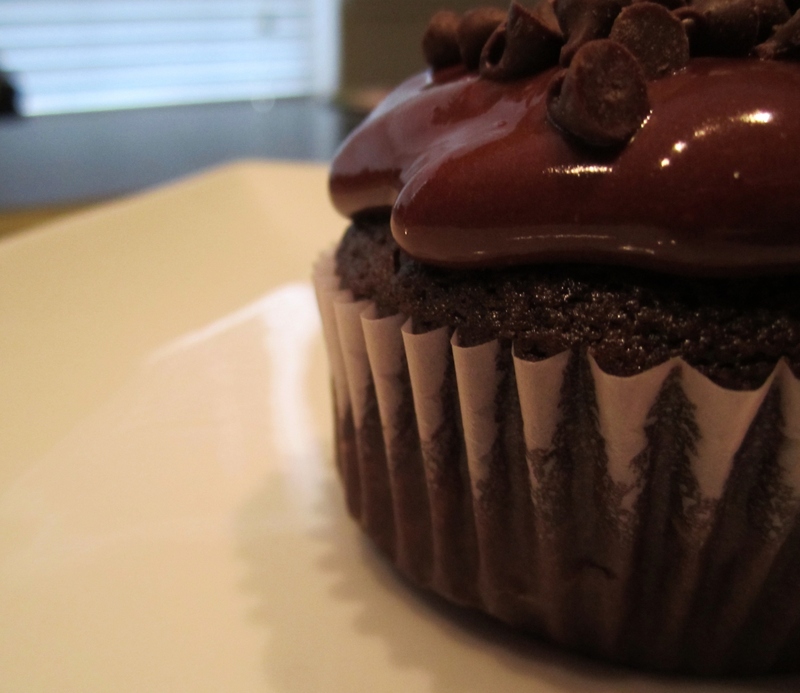 I wanted the perfect soft moist chocolate cake (not too sugary) and buttery rich dark chocolate icing (slightly salty). So, that’s what I set out to make. This cake recipe may seem a little odd. It has no eggs, instead…mayo. The mayonnaise makes it rich and moist. It is not a very sweet cake which is why it is amazing with this rich chocolate icing. It’s all about balance! Maybe I am super crazy picky when it comes to cake but if that’s what it takes to get a cupcake as delicious as this one then so be it! I will be crazy…and picky! In a medium plastic bowl, whisk together the cocoa and boiling water. I have found it works best to boil the water in a glass measuring cup in the microwave. Then pour into the bowl with the cocoa already in it. I then place this in the freezer for about 5 minutes while I go on with the other parts of the recipe. You do not want this frozen only cooled down so you can add the other ingredients. In a stand mixer, combine the cake flour, sugar, baking soda and salt. When measuring flour, be sure to spoon your flour into the measuring cup then level with a knife. Do NOT pack the flour. Blend this on low for 30 seconds. Whisk the vanilla and mayonnaise into the cocoa mixture. Add this mixture to the dry ingredients. Mix on low speed until the ingredients are starting to blend together. Increase the speed to medium and mix for 1 minute. Line your cupcake pan with cute liners! Scoop the cupcake batter into the liners. This recipe makes about 18 cupcakes. Try to divide equally. My favorite tool for doing this is a cookie scoop. This will help you divide it evenly. Bake at 350 degrees for 16 to 17 min. If you’re not sure how accurate your oven is. Get an oven thermometer and check to see what your oven is reading. My oven heats about 5 degrees cooler than what I set it. So I always add 5 degrees to everything I cook. This really affects your baking. You also want to be sure to turn on your oven to let it preheat while you are preparing the recipe. It always take longer to preheat than what the oven says. 2 ¼ sticks butter, room temp. Combine the cocoa and boiling water stirring until dissolved. I did this just like I did for the cupcakes. Be sure to allow it to cool fully before it’s added to the butter otherwise it will melt the butter. Beat the butter on medium-high speed until fluffy. Then slowly add the powdered sugar and salt to the butter continuing to beat. Don’t stop until it’s totally mixed and fluffy. In a double boiler, melt the chocolate baking bars and allow to completely cool. Add the melted chocolate and beat until combined on low. Then beat in the cocoa mixture. 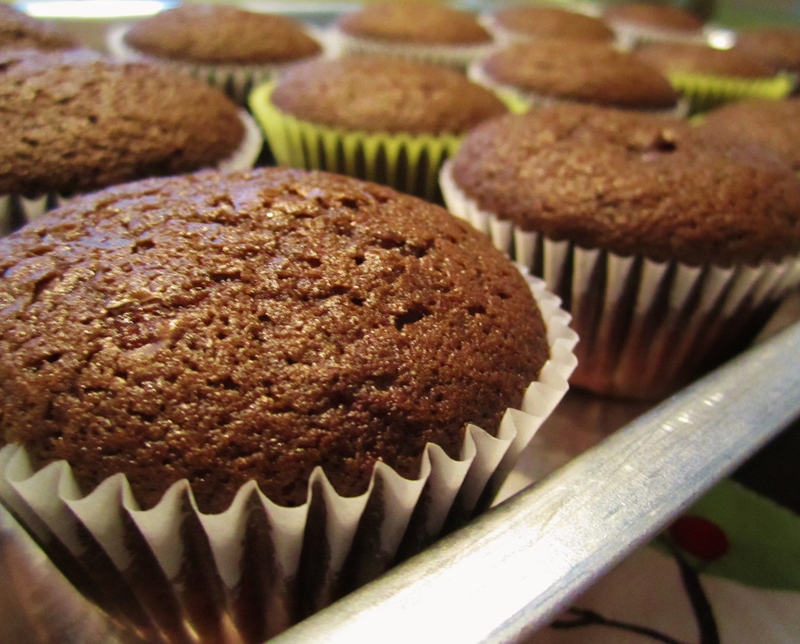 Be sure to let your cupcakes fully cool before icing. I used a spoon to ice the cupcakes. This icing is kind of between a buttercream and a pourable frosting. Once I spooned on the icing, I sprinkled a few mini-chocolate chips on top. Entry filed under: Uncategorized. Tags: Chocolate, Cooking, Culinary Art, Cupcakes, Dessert, Food, Pie, Recipes, Restaurant. Peaches & Ice Cream	What do you put ranch on? 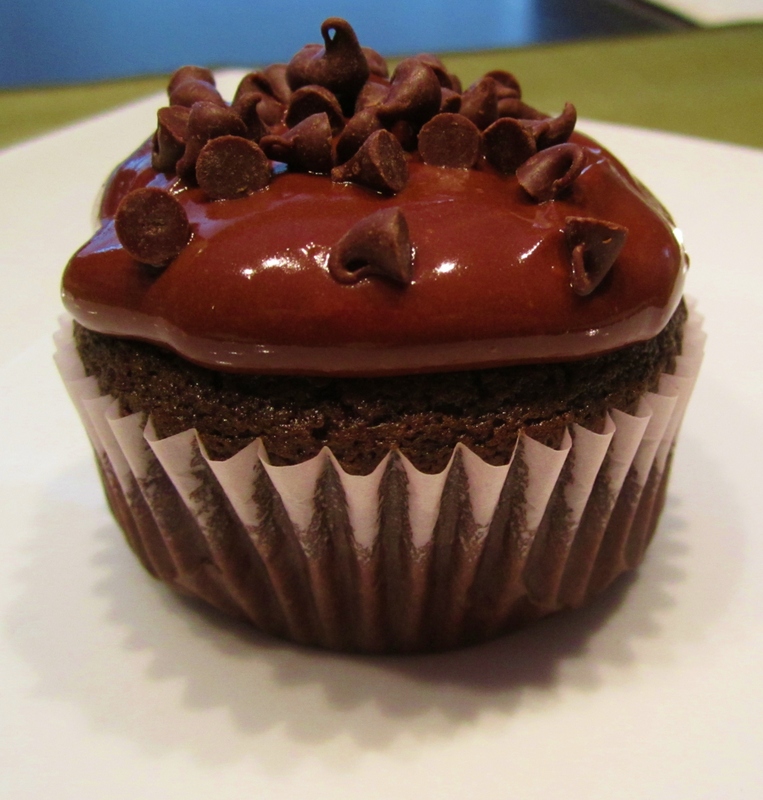 Oh wow…you had me at “chocolate cupcake.” One of my favorite sweets! The photos are mouthwatering!